Funny thing. Albums are usually overrated in customer review sections of stores. Usually only people who love the album will bother to review an item. At HMV, Variety has by far the lowest rating of the Tokyo Jihen albums with a score of 51. Kyouiku is scored at 94 and Adult is at 97. I don't think there's a "small minority" of haters on this one. On the subject of HMV reviews... I saw the other day that Koda Kumi's Black Cherry album had a grand total of 4. Muzai Moratorium, for me, this one will always gonna be the best. "Who put the lies in the truth that you sold us?" So let's settle it with KSK shall we? 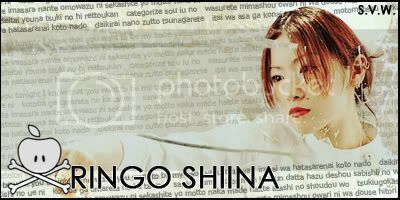 Although I believe Karuki Zamen Kuri no hana is Shiina´s masterpiece, I frankly find Shouso Strip as my favorite album. I may sound weird or incongruous, but somehow SS is the album I enjoy listening the most as a unit. Aaaghgh!!! It's hard to decide between MM and SS! I think SS is also more rewarding on repeated listens, it's much more layered and complex than MM, which is pretty straightforward. I personally think the qualitative jump between MM and SS is immense, and while MM was a pretty good album by any standards, it's on SS where she really became brilliant. Er, MM is so brilliant that I now own four different versions of it. MM FTW.